Sometime in his late 30s, after his hair had been thinning for several years, Dr. Albert Mannes decided to shave what was left of his mane. He then noticed a curious thing: "Strangers were more standoffish, more deferential," he recalls. "I found that people treated me differently once I started shaving my head, which made me wonder whether my experience was unique," says Mannes. This led Mannes, a lecturer at the Wharton School, at the University of Pennsylvania, to design three experiments that tested other people's perception of men with shaved heads. His findings appear in the journal Social Psychological and Personality Science. All three studies found similar results: A man's shorn scalp was linked with dominance. In other words, men with shaved heads were perceived as powerful by others. 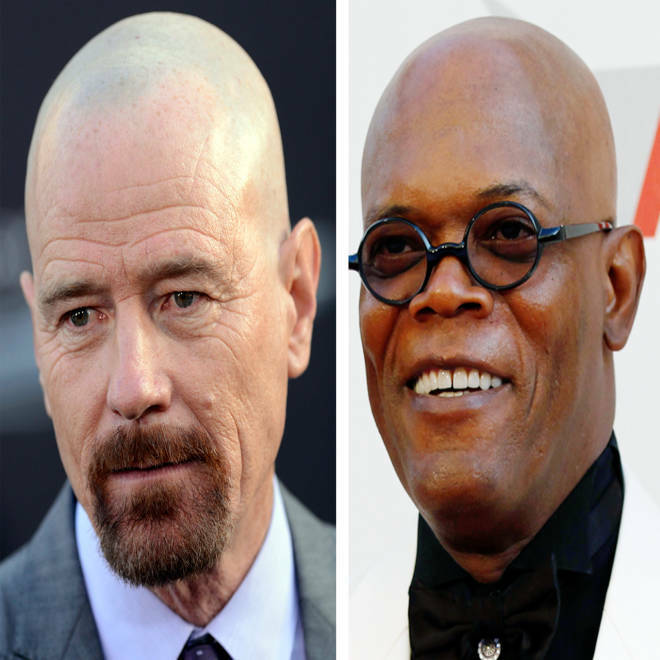 It seems that closely cropped or bald domes have a certain manly swagger to them that project a powerful look. In the first study, 59 college students looked at 25 photographs of men enrolled in a business school program. Ten of the men had shaved heads while the rest wore their hair in various styles and lengths. Volunteers rated the photos of men with shorn scalps as more dominant, meaning they looked more powerful, influential, and authoritative than those with a full head of hair. In a second experiment, 344 adults were shown photographs of four different men. One photo was of the man's real hair and a second shot of him had been digitally altered to remove all of it. Adults rated men with the digitally shaved heads as more dominant than his coiffed counterpart, an effect researchers say was largely due to perceiving men with shorn scalps as having more confidence and masculinity. In addition, men without much hair were viewed as nearly an inch taller and 13 percent stronger than men with plenty of it. Although a shaved head had its advantages, men were rated as less attractive and looking nearly four years older than guys with full heads of hair. Why is a nearly bare head perceived as more dominant? Mannes offers three explanations. For one, he points to stereotypes. "Shaved heads are found in American culture in traditionally masculine professions, such as the military, law enforcement, and sports," Mannes explains. A second is that a man who shaves his head is viewed as unconventional. And there's some evidence that the powerful are less inhibited about violating conventional norms, he says. Finally, Mannes suggests that since "Society places such a high aesthetic value on hair, it takes confidence for a man to dispense with it." In a third experiment, no photographs were used and more than 500 adults rated their perception of a man based solely on a written physical description of him. All volunteers read the exact same profile except for the description of his hair, which portrayed him as having thick brown hair, thinning brown hair, or a shaved head. The man described as having a shaved head was rated highest in dominance, masculinity, leadership potential, and strength. The guy with thick tresses scored higher for attractiveness than a shorn scalp and slightly higher on confidence. The dude with thinning hair scored the lowest on every trait except for norm violation. "Men with thinning hair may improve their self-esteem and how they are perceived by others by shaving," Mannes suggests. He advises men who are getting sparse on top "to stop fighting Mother Nature and try the shaved look."